Giorgetto Giugiaro (Italian pronunciation: [dʒorˈdʒetto dʒuˈdʒaːro]; born 7 August 1938) is an Italian automobile designer. He has worked on supercars and popular everyday vehicles. He was born in Garessio, Cuneo, Piedmont. Giugiaro was named Car Designer of the Century in 1999 and inducted into the Automotive Hall of Fame in 2002. In addition to cars, Giugiaro designed camera bodies for Nikon, computer prototypes for Apple, Navigation promenade of Porto Santo Stefano, and developed a new pasta shape "Marille", as well as office furniture for Okamura Corporation. Eagle Premier ES Limited with "design giugiaro" badge. Giugiaro Ford Mustang 2006 Concept Car. Giugiaro's earliest cars, like the Alfa Romeo 105/115 Series Coupés, often featured tastefully arched and curving shapes, such as the De Tomaso Mangusta, Iso Grifo, and Maserati Ghibli. However, as the 1970s approached, Giugiaro's designs became increasingly angular, culminating in the "folded paper" era of the 1970s. Straight-lined designs such as the BMW M1, Lotus Esprit S1, and Maserati Bora followed before a softer approach returned in the Maserati Merak, Lamborghini Calà, Maserati Spyder, and Ferrari GG50. Giugiaro is widely known for the DMC DeLorean, featured prominently in the Hollywood blockbuster series Back to the Future. His most commercially successful design was the Volkswagen Golf Mk1. In 1976, Giugiaro explored a new taxi concept with the Museum of Modern Art (MOMA), which became the 1978 Lancia Megagamma concept. Fiat had commissioned the 1978 concept from Italdesign, asking for a 4-meter, high roof, high h-point, multifunctional, monospace design — but ultimately found the concept too risky for production. In retrospect the Megagamma was more influential than it was itself successful, becoming the "conceptual birth mother of the MPV/minivan movement" — giving rise to such mini/compact MPV's as the Nissan Prairie (1981) and Fiat 500L (2011) as well as larger MPV's including the Renault Espace and Chrysler minivans. Beretta UGB25 Xcel Trap 12 GA, 30"
^ "Giorgetto Giugiaro Awarded Place of Honor at the Detroit "Automotive Hall of Fame"". Giugiaro news. Archived from the original on 6 May 2008. Retrieved 25 January 2016. ^ "NOTES & THEORIES: For perfect pasta, simmer for 500 years". findarticles.com. Archived from the original on 2007-10-22. Retrieved 2007-08-20. ^ "okamura". Okamura.jp. Retrieved 2012-01-05. ^ Karl Smith (August 14, 2015). "Lancia Megagamma (1978)". Car Design News. ^ "Update 1 - Volkswagen buys control of car designer Italdesign". Reuters.com. 25 May 2010. Retrieved 16 May 2013. ^ a b c d e Ciferri, Luca (2 July 2015). "Legendary car designer Giugiaro quits company that bears his name". Automotive News. ^ a b c "The Stars & Cars of Bertone". Road & Track: 78. November 2014. ^ "Eagle Premier". Italdesign Giugiaro. Archived from the original on 8 February 2016. Retrieved 17 October 2017. ^ "Archive: Classicmotor.se BMW Spicup". ^ "Archive: Giugiaro Mustang, Take One". Motor Trend. Retrieved 2009-02-17. ^ "Greentech Automotive". Retrieved 2013-01-19. ^ "MyCar NEV", Products, WMGTA, archived from the original on 2011-11-12 . ^ "Volume leader in automobile design". Auto news. Retrieved 2007-08-20. ^ "Renault 21 (Medallion)". Italdesign Giugiaro. Archived from the original on 20 June 2013. Retrieved 25 January 2016. ^ "Renault 19". Italdesign Giugiaro. Archived from the original on 2 June 2014. Retrieved 25 January 2016. ^ "Škoda 720: Unikát, který mohl konkurovat BMW". auto.idnes (in Czech). Retrieved 25 January 2016. ^ Curry, Iain (22 February 2011). "Korando the dawn of a new age". Warwick Daily News. Australia. Retrieved 17 October 2017. 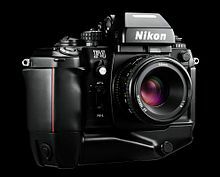 ^ "Evolution of electronic cameras and Nikon F3". Nikon. Retrieved 25 January 2016. ^ Brown, Roland (July–August 2011). "1975 Ducati 860GT". Motorcycle Classics. Retrieved 25 January 2016. ^ a b "1974 – Suzuki RE5 Rotary – Wankel – 500 Collezione Motociclistica Milanese". Collezione Motociclistica Milanese. Retrieved 25 January 2016. ^ "1977 MV Agusta 350 Ipotesi". 25 April 2015. ^ Padeanu, Adrian (2013-02-25). "Lamborghini Nitro tractor revealed". motor 1. Retrieved 2015-12-17. ^ 1986 Seiko Speedmaster by Giorgetto Giugiaro, 2008-05-16, archived from the original on 2008-05-16, retrieved 17 February 2009 . ^ Macchina Sportiva, Ital design, retrieved 3 September 2014 . ^ Tractor of the year 2017 Deutz Fahr 6215 RC shift wins the best design award (press release), SDF group . BMW Designers An overview of automotive designers working for BMW.